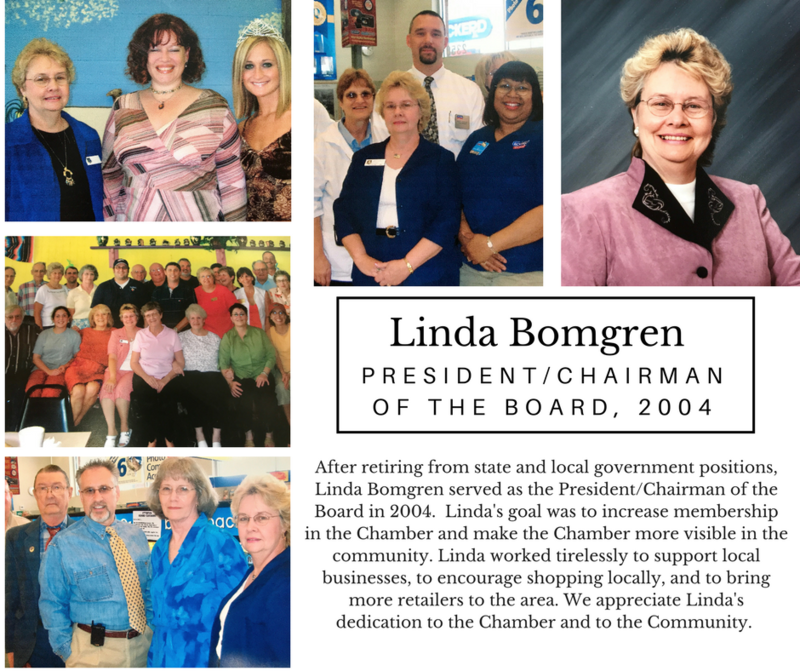 After retiring from state and local government positions, Linda Bomgren served as the President/Chairman of the Board in 2004. Linda’s goal was to increase membership in the Chamber and make the Chamber more visible in the community. Linda worked tirelessly to support local businesses, to encourage shopping locally, and to bring more retailers to the area. We appreciate Linda’s dedication to the Chamber and to the Community.